Sardaigne en liberté helps you to create your tailor-made trip in Sardinia. Sardinia preserves a rich archeological heritage that you can discover, taking advantage, at the same time, of nature and authentic encounters with Sardinians. You can visit numerous archeological sites, such as the nuraghe, the Giants’ tombs, menhirs, dolmen, the Domus de Janas (fairy houses) and sacred wells. During our stays, you will be accompanied by an archeological guide specialized in the Nuragic civilization, which also speaks French. Discovery of the Neuralgic civilization : excursion in small groups of 8 people,traveling, to discover Sardinia. Discoveries and experiences stays that combine wellness and archeology : in a spa that has already been used by the Romans for the known benefits of its waters. Own a-la-carte stay : a stay that allows you to set out to explore individually, with our assistance according to your needs. Sardinia is particularly suitable for this type of stay. It allows you to recharge with a total escape in the rich landscapes of the island, blue sea, uncontaminated nature and the villages where time seems to have stopped. The chosen places have a “soul”, a special energy, favorable to the practice of yoga. 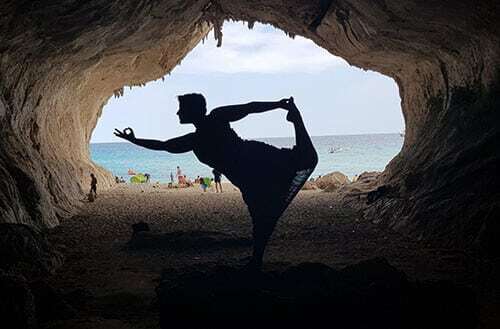 You will have the opportunity to discover different types of yoga : Hatha Yoga, Yoga Nidra (deep relaxation permitting), Pranayama (breathing) Mindfulness meditation with mantras and also reiki. It can be added, depending on demand, individual Swedish massages, massages with plants or Indian massages. It is also possible to stay in a spa. Many of these places exist since Antiquity, known by the Romans for the benefits of their waters. It is also possible to discover with an herbalist, the existing plants in Sardinia, their properties and uses. 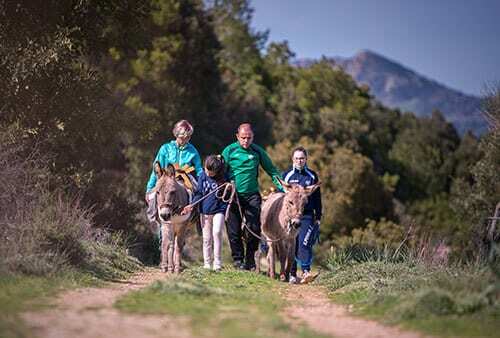 We organize excursions on foot through Sardinia, including donkey rides. Through these excursions it’s possible to meet passionate and sharing Sardinians who love their island an its traditions as well as walking in the middle of a beautiful nature, while tasting the local cuisine. The Carnival of Sardinia (su Carrasegare) is one of the most original events of the island. Its masks, its typical costumes, its rites and its shows show the specificity of Sardinian culture. This trip will allow you to discover the Sardinian polyphonic song “a tenores” and the traditional dances of the region. – the small town of Mamoiada and its Mamuthones – masked figures. 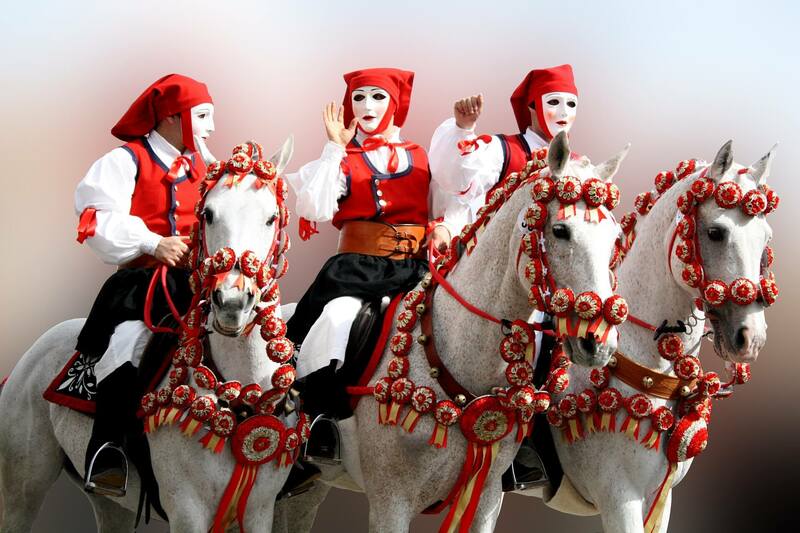 – the city of Oristano and Sartiglia – horse race with medieval origins. An itinerant stay that will immerse you in the authentic traditions of Sardinia, from Carnival to the know-how of the shepherds and winemakers of Barbagia. The discovery of incredible ancestral rites, cultural expressions of the traditional agro-pastoral society and dance to the sound of drums and accordions. 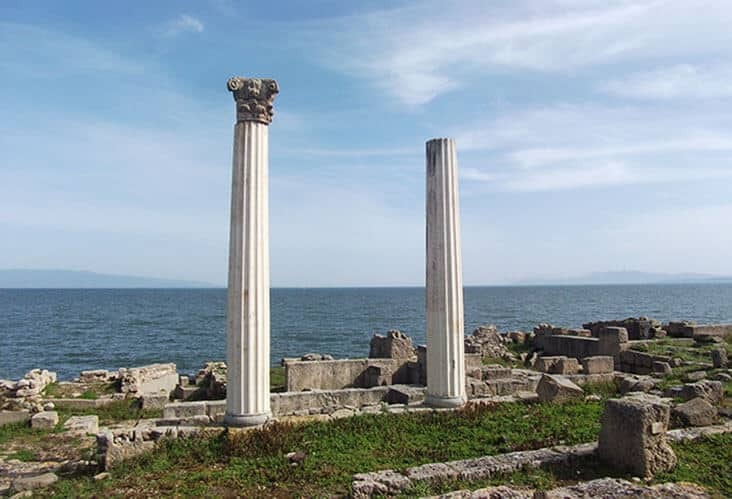 The beautiful walks will lead you to the discovery of wild nature and archeological remains. A stay full of unforgettable experiences, far from mass tourism, where the Sardinian festivals and traditions are discovered in an authentic way. Nights in typical Sardinian inns in contact with the local population. Sardinia is particularly suitable for this type of walk, it allows you to make excursions with a change of scenery guaranteed, in routes suitable for this type of walk. Most of the mountain areas remain untouched with trails and hiking paths to explore. For each Nordic walking we organize, we start the day with a gradual warm up, before walking between 4 and 6 hours a day. We rent Nordic walking poles. 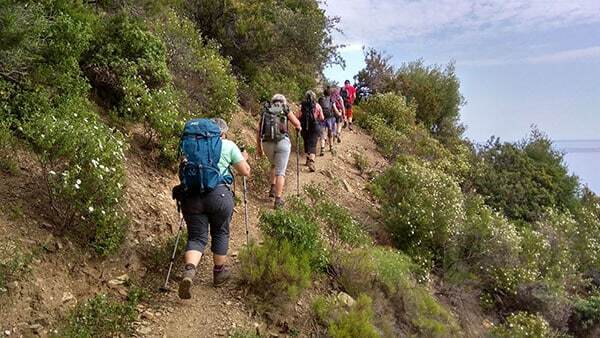 Trekking in a small group limited to 8 participants in itinerant stay to discover Sardinia. Stays mixing wellness and Nordic walking in one of the wellness centers, already used in antiquity by the Romans for the benefits of its waters. Sardinia is particularly suitable for family holidays in a relaxing environment and in full nature. The island benefits from a special sun exposure, with magnificent landscapes, paradisiacal beaches and enchanting mountains. Beyond landscapes, the whole family will have the opportunity to appreciate the local culture and gastronomy. Sardaigne en Liberté proposes several formulas “freedom in liberté” : discovery stays, around nature and local culture, adapted to the children. Wake up your taste buds with generous dishes of the Sardinian tradition, the famous “culurgiones” (ravioli stuffed with potatoes, Sardinian pecorino and mint), suckling pig, myrtle and amaretti (sweet with bitter almonds). Stimulate your sight in this island rich in landscapes, with its crystal clear sea and its turquoise waters. Explore its pristine nature through moutains hiking and its charming villages. Opens your ears to the sound of water, the song of birds, cicadas and crickets during your walks in the forest. Let yourself be lulled by Sardinian music and by the history of centenarian inhabitants in the villages where time seems to have stopped. Unleash your sense of smell and draw on your childhood memories by inhaling the scent of rosemary and juniper and let yourself be carried away by the sweet scent of oranges and lemons. 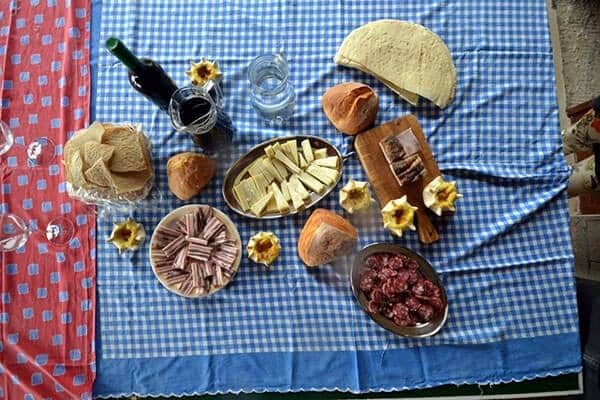 Develop your fifth sense by learning to cook in contact with the Sardinian grandmothers who will generously teach you their culinary secrets. Give life to your senses through the meeting of the Sardinian passionate of their island, welcoming, generous and full of humanity. The magnificent landscapes, still protected and varied: sea, mountain, forest, small villages . The hospitality and generosity of its inhabitants and its centenarians. And then give yourself the time to listen … only the sound of waves, of nature, of Sardinian songs in this sun-kissed island !